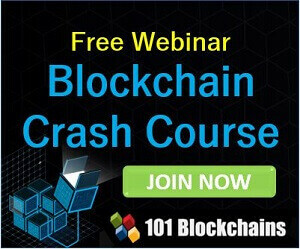 At 101Blockchains.com, we believe in blockchain technology, and we know how confusing for anyone new to the whole blockchain stuff. 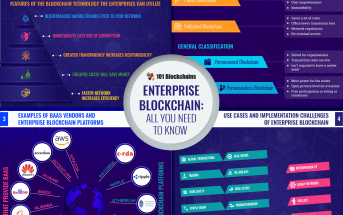 In this blockchain cheat sheet, we will cover all the essential topics in a simple way. Also, you can follow the links if you want to know more about any specific blockchain definition. Also, this is the first part of the “Blockchain Explained” series that we are going through. So stay tuned to learn more about blockchain. 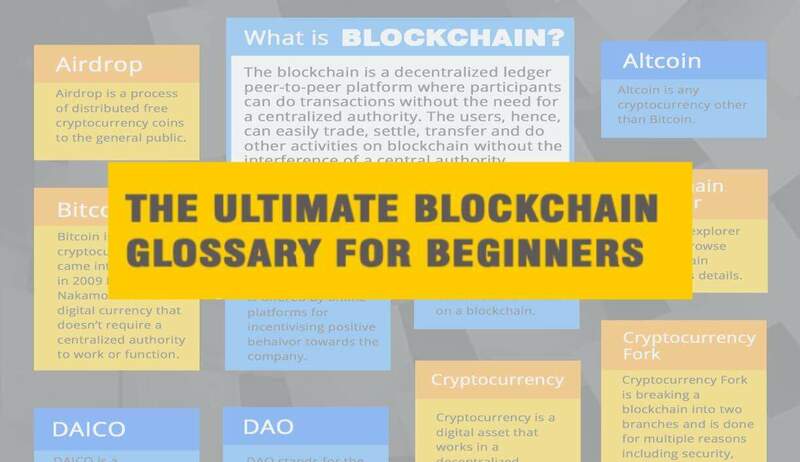 In this blockchain glossary for beginners, we collected to most important blockchain definitions you should be familiar with as you are going to hear them a lot. We will be sharing more articles and definitions in this glossary in the near future. Currently, there are 46 blockchain definitions in this glossary, let’s get started. An address is an important term in cryptocurrency. It is a unique identifier that is used to identify the sender, receiver. It is also used for storing cryptocurrency. In real-world analogy, the home address is used to send and receive letters or parcels. An address is generated using the private key. The private key is also unique to the address. The private key is also used to access the digital assets that the address has. In cryptocurrency, the address is generally alphanumeric strings. Also, if the address for a particular ecosystem have similarities. For example, all address related to Ethereum starts with 0x whereas Bitcoin address begins with 3 or 1. Address is one of the most important terms that must learn while exploring blockchain glossary. Airdrops are all about distributing free tokens to people as rewards. It is related to blockchain projects, especially ICOs. Airdrop might or might not have an incentive attached to it. Many startups or blockchain project airdrop for diverse reasons including bug fixes, community growth or incentives a positive action towards their idea. Anyone can participate in airdrops until and unless they match with their requirement. Any cryptocurrency or token other than Bitcoin is known as altcoin. The word “altcoin” has a subtle meaning associated with it. It can be broken down to “alt” which means alternative and “coin” which means cryptocurrency. Any coin that is released after Bitcoin is known as altcoin. Some of the examples include Ethereum, NEO, EOS, LEND, etc. Altcoins are also better regarding features and functionality but don’t offer the storage value compared to Bitcoin. Read more about Altcoins here. The blockchain is a distributed ledger technology (DLT) that offers decentralization. It is the brainchild of pseudonym Satoshi Nakamoto. He also invented Bitcoin which uses blockchain technology. Blockchain consists of nodes that carry a copy of the decentralized ledger. Also, blockchain uses consensus method to agree on value across the network. We hope you learned about blockchain definition. Learn more about blockchain here. Bounty is a simple program run by startups or business to incentivize positive behavior such as bug fixes, marketing aid, article writing, and so on. Bounties have always been popular in the tech industry. However, it caught new direction when ICOs started to happen. Also, bounties are not about all positive effect. They do have some negative aspects associated with it including market manipulation. Bitcoin is a cryptocurrency that came into existence in 2009 by Satoshi Nakamoto. It is a digital currency that doesn’t require a centralized authority to work or function. It rose to new heights in 2017 when its value touched $19,000 per bitcoin. Bitcoin doesn’t have better practical use compared to other cryptocurrencies out there due to its rising transfer time and fees related to transfer. However, it is now used as a storage value. Bitcoin can be stored in a wallet that is specifically made to store it. Bitcoin uses distributed ledger technology(DLT). Block Explorer is a tool that is used to view transactions on a blockchain. The transactions can be current transactions or past transactions. Block Explorer also lets you get more information about the blockchain. For example, you can know about the growth and the network hash rate. Block Explorer is more than just tools for exploring transactions. They also offer a lot of other things that can be known using a block explorer. They also report unconfirmed transactions and also showcases the mining difficulty with a blockchain. Block explorer takes both wallet addresses or specific transactions IDs to return information. Also, advanced block explorers can also generate reports based on the data they have access to. By learning about Block Explorer, you will improve your knowledge about blockchain definitions. Full explanation article is coming soon. Stay tuned. Block Reward is the reward that a miner gets after he solves a block successfully. To claim the reward, the miner adds the first transaction on the block. The whole process starts with miners looking for blocks to be verified. Once found, the transactions on the block need to be verified for the reward to be processed. Also, the reward is shared among a group of miners depending on the amount of work they have done. One good example includes Bitcoin where the one block mined rewards 12.5 BTC as of 2018. The value of the reward changes depending on the difficulty and other factors. The consensus is a way to agree on a single point of the data value in a network. Many consensus algorithms are used in distributed systems. Some of the popular consensus algorithms include Proof-of-Work(PoW), Proof-of-Stake(PoS) and Delegated Proof of Stake (DPoS). All of them work differently and have a different way of handling consensus in a distributed network. Read more about Consensus algorithm here. Cryptocurrency is a virtual/digital coin with no tangible existence. It can be distributed over a network and acts as a way to do trades among peers. It existence surrounds the idea of decentralization with no central authority at work. Some of the most popular cryptocurrencies include Bitcoin, Ethereum, NEO, Litecoin, EOS, and so on. A user can mine or buy a cryptocurrency. There are also other ways to get hold of cryptocurrencies including bounties, airdrop, mining or staking. Learn more about cryptocurrency here. Cryptocurrency Fork is a technical term which means creating a new version of the blockchain from its already available blockchain version. It is creating a new branch with added or new features, characteristics or functionality. One of the popular cryptocurrency forks happened was ETH-ETC fork due to the DAO hack on Ethereum blockchain. Also, there are two types of forks: hard and soft fork. Bitcoin also had few forks which include Bitcoin Gold, Bitcoin Diamond, and others. Read more about cryptocurrency fork here. DAO stands for Decentralized Autonomous Organization. After its initial launch in 2016, it received a mixed response from the community. By using DAO, any organization can create a rule-set using the code and manage in a decentralized environment. DAO became popular due to Ethereum. However, the DAO also has its negative points. It is hackable, and if someone finds a vulnerability, it cannot be rolled back. It is created using smart contracts and is funded in its initial stage before opening it to the users. dApp stands for a decentralized application that is developed on top of blockchain platforms such as Ethereum, NEO or EOS. It follows a specific rule and automates certain or all the functions with the help of smart contracts. dApps always need to be open source and must operate without any controlled party. dApps can be created by organizations to automate specific tasks or merely providing a way for their users to have an interface with particular functionality. Also, dApps need tokens to work. For example, if a dApp does a task, it needs to spend transaction fuel to get the task registered on the blockchain. Blockchain Glossary Bonus, What is the Difference Between a Blockchain and a Database? There is one significant difference between database and blockchain, i.e., decentralization. The blockchain is also a type of database, but it offers decentralization. The traditional database also helps to store and retrieve data but are centralized in nature. Blockchain also provides integrity of data which means that data once is written cannot be modified or altered anyone. This implies blockchain doesn’t offer the data manipulations option. Validations are also more accurate on blockchain compared to the database due to data integrity. Read about the difference between a blockchain and a database here. 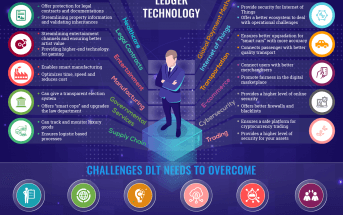 DLT stands for Distributed Ledger Technology. DLT enables the blockchain and gives it the ability of decentralization. It can be used in networks without any geographical barrier. In DLT, there is no central authority, and each node generally has a copy of the distributed ledger. Also, each node takes part in the consensus process. It is fast, reliable and transparent. It also offers 100% data integrity. DYOR stands for “Do Your Own Research.” It is aimed at investors or newbies who are told to do their own research and not rely on anyone else for their financial or investment decisions. It is a slang word that is heavily used in cryptocurrency community especially when someone shares their opinion. Cryptocurrency is a volatile platform and hence requires the need for DYOR everytime an investor decides to invest. Investing in cryptocurrency is very risky, DYOR!. There are many ICOs project that doesn’t meet the requirement of surviving in the market. Also, investing in ICOs currently can be seen as gambling. DIACO is a decentralized fundraising model. It is built on top of the blockchain network such as Ethereum. It acts democratically and ensures that the token sale is made in the best interest of the investor. It uses the mechanism, “Tap.” This mechanism enables investors to do fund control. It means that the investor can invest in steps and according to certain conditions. If the conditions don’t match, then the investment will stop. On the other hand, if the condition match, the second investment will be made. The whole idea behind DAICO is to make ICOs more responsible when raising money and backup their progress with milestones. DAICO also take some features from DAO such as automation, decentralization and refund option. To know more read the difference between ICO and DIACO. ERC20 is the standard protocol that is used on Ethereum network for issuing tokens. ERC20 stands for “Ethereum Request for Comments.” On Ethereum network, it is used by ICOs to release their tokens and maintain the standard of trading and managing assets. dApps also use these tokens to fuel its economy. Read more about ERC20 here. Ether fuels the Ethereum platform. It is the token that makes transactions, actions or other activities possible on the Ethereum blockchain. dApps also require ether to function in the network. Ether was initially sold to investors in crowdsale. It can also be mined by miners who provides computational power to the transactions and help them validate. Also, 12% of the created ether was given to Ethereum foundations to build the ecosystem and grow it in the right direction. Currently, there is a finite supply of Ether, and it uses Proof of Work(PoW) method for validating transactions. Read more about Ether here. Ethereum is the success of Bitcoin and is an open source platform using blockchain technology. The unique selling point of Ethereum is the ability to create smart contracts and develop, deploy and maintain decentralized applications(dApps). Ether is used as a native token to fuel the platform. This means it is used primarily for miners rewards and transaction fees. It can also be used for other services offered by dApps. Read more about Ethereum here. Ethereum Classic(ETC) is a cryptocurrency that came into existence after the hard fork of Ethereum blockchain. It happened after the big Ethereum Decentralized Autonomous Organization(DAO) hack. It was a hard fork which means that it carried the properties of the original Ethereum chain. This is done to protect the interest of the community. After the hack, there were two forces: one against the fork and other for the fork. Read more about Ethereum Classic here. Ethereum Gas is used as the basic unit of computation effort for executing transactions on Ethereum blockchain platform. If a transaction takes place, then there is some transaction fee associated with it. The amount of transaction fees is calculated according to the GAS value at the time of the transaction. There is Gas Limit and Gas Price associated with it. Gas Limit is there for protecting unintended expenditure. Also, it protects the network from becoming too congested. Gas limit, when multiplied with the gas price, calculates the transaction fee(TX). Read more about Ethereum Gas here. Federated blockchain (also known as Consortium blockchain) is a partly private blockchain. It is identical in many respects to the fully private network. It also draws features from a public blockchain network and provides the best from the two works. The power doesn’t stay with one entity. It works under a group of leaders who manage the blockchain. It is really useful for companies who are working together on a project or a group of entities managing a consortium blockchain. This also means that no one can participate in the network and requires permission to access it. The basic use-case is for organization and collaboration. Few examples include EWF, r3, etc. Visit our homepage to know more about blockchain definitions. Fiat is the legal money issued by the government. It is also known as “legal tender.” By legal tender, it means that Fiat is the only currency that can be used to buy, sell or trade goods using it. Other types of currencies are not valid. In some states and countries, cryptocurrencies are also declared as “legal tender.” However, it is not same in other countries. Many countries have also banned cryptocurrencies. Government and the market conditions control the value of the fiat. Example of fiat include Yen, US dollar, Euro, Pound, etc. FOMO stands for Fear of Missing Out. It is a popular word used in cryptocurrency community. It happens with an individual when he takes a decision based on fear. The fear is basically on missing out on the opportunity of making a profit when a crypto coin rises. It can also happen due to rumors or news spread through social media accounts. One of the best examples would be Bitcoin. It rose from just $1000 to $19,000 in the year 2017. The new investors who do not understand the emotion of FOMO invested when it was around all-time-high. Now, most of them are stuck with their investment. FOMO is ubiquitous among newbie traders, and even veterans are not free from this emotion. FUD stands for Fear, Uncertainty, and Doubt. FUD in crypto means the fear, uncertainty, and doubt about a crypto coin or the community as a whole. Big market crashes happen due to FUD as people sell off in groups and listen to bad advice that is spread through the social media. One of the biggest FUD that we keep hearing is that Bitcoin is a Bubble. It is used multiple times in media and still, people fall for this. In short, the negative news can induce FUD and have the capability to crash the market. The blockchain is composed of blocks. The first block of that said blockchain is known as genesis block. It is numbered 0. It is also hardcoded so that no changes can be made once it is released. The idea of Genesis Block came into existence in the Bitcoin white paper. The first Genesis Block of Bitcoin contained 50 bitcoins. HyperLedger is a blockchain project that is managed by Linux Foundations. It is open source and aims to bring collaborative effort from all major blockchain players in the market for the improvement of blockchain technology. 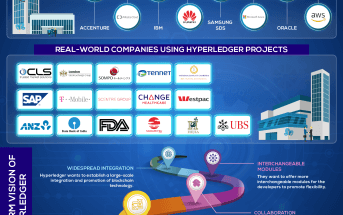 The executive director of the project, Brian Behlendorf also added that HyperLedger would not have any tokens as it will make them lose focus on the improvement of blockchain ecosystem facilitated by cross-industry reach. ICO stands for Initial coin offering. It is used by startups or businesses to raise funds by selling their token to the investors. ICO’s may sound similar to Initial Public Offering(IPOs), but they work differently. Generally, ICO’s are unregulated and have more risk associated with it. To run a successful ICO, startups need to have a working product or an idea. Lambo is a crypto slang that is used to cryptocurrency traders and investors. It stands for “Lamborghini.” It is one of the fastest cars available at the time of writing. Technically, Mainnet can be defined as the blockchain that provides users the ability to send and receive digital currency. It brings the transaction functionality to the users. Moreover, it is different from testnet. Testnet only simulates the desired functionality. In other words, we can say that Mainnet is actual end product ready for real-world use. Learn more about Mainnet here. NEO (initially known as AntShares) is a decentralized blockchain platform that is also known as “Chinese Ethereum.” It is open source and helps developers create powerful dApps taking advantage of the smart contracts 2.0. Moreover, developers don’t have to learn any specific language to develop dApps on the platform. The consensus algorithm used on the NEO blockchain uses DBFT, also known as, Delegated Byzantine Fault Tolerance. It is incredibly efficient and can easily support 10,000 transactions per second. It is also efficient when it comes to energy consumption. GAS is also an essential part of the NEO ecosystem. NEP5 manages the standard of NEO tokens. It stands for NEO enhancement protocol with the number “5” denotes the revision that everyone agreed on. It is a protocol that governs how NEO token is developed, shared and behave in the NEO network. If a developer wants to circulate his own token, then he has to meet the NEP-5 standard. It is similar to HTTP protocol where HTTP make sure that the communication between two parties systematically takes place. The few functions of NEP5 include token approval, balance checks, transfer, etc. Read the ultimate guide on NEP5 here and expand your knowledge beyond blockchain glossary terms. NFT stands for Non-Fungible Token. As from the name itself, it is not fungible. This means that the token cannot be replaced and hence is useful for unique scenarios. NFT are distinguishable and are not interchangeable to other tokens. For example, it can be used to issue a game card or a baseball card that is unique and cannot be replicated. Another good example is the ticket issue. This way it still has worth, but cannot be exchanged with other forms of tokens. It is completely verifiable and provides ownership through blockchain and cryptocurrency. Penny cryptocurrencies are those coins that are valued less than a dollar. Yes, you read it right. This category came into significance from penny stocks. They also hold a lot of value in the current cryptocurrency market as they have the highest chance of going big. Buying a penny cryptocurrency can be a good strategic move only if the coin meets standards of a good currency. More about Penny Cryptocurrencies here. Proof-of-Stake(PoS) is yet another consensus algorithm. The nodes in a PoS powered blockchain stake coins. The more coins are staked, the higher chances that the node will be picked for making the consensus decision. This requires little to no energy to power. Hence, PoS seems to be the new way of handling consensus among the new blockchain platforms. NEO, EOS, and Ethereum(soon) are using Proof-of-Stake. Proof-of-Work(PoW) is a popular consensus algorithm used in blockchain network. For example, Bitcoin uses it. PoW works by assigning a block to the miners and then waiting for the computational puzzle to be solved by them. It requires computational power to do so. If succeeded, the miner is rewarded in the blockchain’s token or coin value. PoW is not efficient and requires a lot of power consumption. This also makes it not nature-friendly. What is a Private Blockchain? A private blockchain is created for the use of specific people that belongs to an organization or a group. It is maintained and developed by the private organization, and they have complete authority on the use of consensus algorithm and how minting works. Also, the access to the blockchain is decided by the organization. The only difference here is the central authority control over the blockchain. Ripple is an excellent example of the private blockchain. 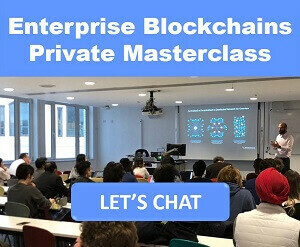 Learn about private blockchain here. The concept of private and public key is used to ensure that transactions made on blockchain are secure. A private key is used to encrypt and decrypt the messages sent from one user to another. Private keys in cryptocurrency are also used to access wallet and initiate a transaction on the blockchain. As a user, you should never tell anyone your private key and should always keep it in a safe and secure place. Read about private key here. In cryptocurrency, private sale refers to the ICO’s. It is also known as an institutional round where early investors invest in a startup through their ICO. The startup first announces the private sale. To make sure that only worthy investors have the opportunity to invest, strict participation requirements. The ICOs also ensure to give the right opportunity to the right investor so that they know what they are dealing with. Generally, private sales have a huge bonus which depends on the amount of contribution the investor is making. What is a Public Blockchain? Public Blockchain is a blockchain type is available for everyone. A centralized entity does not control them as in a private blockchain. This means everyone can participate, retrieve data, see nodes and do other activities that are related to the blockchain. They are truly “public.” Some of the key examples of public blockchain include Bitcoin, Ethereum, Litecoin, and others. Find more about public blockchain here. Satoshi is the smallest unit of Bitcoin that is recorded on the blockchain. It is currently named after the original creator of Bitcoin, Satoshi Nakamoto. As it is the smallest unit, it can be used to display the value of any coin. Both traders and investors also calculate the value in terms of Satoshi. Exchanges too also list the price of the other coins in Satoshi because of the coin/BTC pair. Satoshi Nakamoto is the pseudonym behind the creator of the Bitcoin in 2009. He drafted the first whitepaper of Bitcoin and introduced the concept of blockchain to the world. No one knows who Satoshi Nakamoto is. Many speculate that he is not a single person, but an entity or an organization with a specific motive. He was genius and was fluent in English. The true identity of Satoshi Nakamoto is unknown, and we hope that he comes forward and tells the world about his identity. Find more about Satoshi Nakamoto here. The security token is an emerging trend in the cryptocurrency market. Most of the ICO’s offer security token rather than a Unity token. Security tokens are tokens that are offered to investors after they invest in an ICO with no real working product or utility. They are digital assets and act as financial security on the blockchain. Security tokens are also the most common way of raising funds by startups using ICOs. Not all security tokens are valuable, and the investor should do proper research before investing. You can learn more about security token here. Learn more about blockchain glossary terms here. To get a better understanding, read Security token vs Utility token. SHA-256 is a cryptographic algorithm that that is used in Bitcoin and other popular cryptocurrencies. It is designed by U.S National Security Agency(NSA) and offers security to different operations within a blockchain. It is one step ahead of the popular SHA-2(Secure Hashing Algorithm 2). Apart from securing transaction, it is also used to generate public addresses and private keys. SHA-256 is also the cryptographic algorithm that miners have to solve to get block reward. Even though, SHA-256 is a bit technical, as a blockchain learner you should learn about SHA-256 to improve your blockchain glossary knowledge. Smart contract acts as legal tender on blockchain that is completely automated through code. This means that it follows a specific rule that is pre-defined by its creator which cannot be changed or altered. It is generally used for automating tasks such as fund transfers, verifications, and so on. It is also known as “smart legal contract” and “crypto contract” or “smart contract code.” One of the most excellent examples includes smart contracts developed by ICOs for automating the process of token sale. Find more about the smart contract here. Testnet is blockchain network created especially by blockchain developers to test the changes done within it. This way the developers don’t have to spend resources to carry out the tests and also don’t have to affect the workings of the main blockchain. Token or Crypto token is just another synonym for cryptocurrencies or altcoins. However, they are all different. Crypto token is a subset of cryptocurrency(superset). They act as an asset or utility and reside on their own blockchain. For example, EOS, Ripple, etc. are tokens. Tokens also have real-world usage. For example, a video publishing website can use tokens to grant viewers time. There are two types of tokens that you can find: Utility token and Security Token. Utility token is token that has a utility attached to it. They are used for accessing a product or service(at the current time or in future). Utility tokens are released by startups to raise funds through ICOs. One of the examples of Utility token includes Basic Attention Token(BAT). It is a utility token that works in the Brave browser ecosystem. Utility tokens are not aimed for investment. However, they work just fine in ICOs where an investor buys it in the hope that its value will increase shortly. Cryptocurrency wallet is a place where a user can store their private keys. A wallet can either be software or hardware. A user can use the wallet to store, send, or receive cryptocurrency assets. It also stores the transactions that are done using the wallet where users can view the transaction history whenever they want. A wallet is a core term that you will find in any blockchain glossary. Whales are individuals, entities or organizations with extremely high net-worth. They hold a significant part of the cryptocurrency and can easily manipulate or change the market overnight. There are different types of whales in the market. For example, Bitcoin whale that can manipulate the Bitcoin price. White Paper in cryptocurrencies can be defined as the document issued by the project that contains all the detailed description of their plan and what they are trying to achieve. 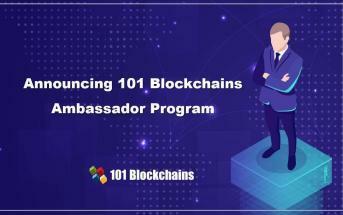 It is aimed at the entities that are directly or indirectly connected with the project. In cryptocurrencies, it is mainly used for showcasing the project value to the investors and also have a vision in hand of what the project owners want to achieve in the long run. Read “How to check ICO whitepaper” to know about the term. 51% attack is a common vulnerability with blockchain technology. To carry out the attack, 51% of the network needs to be controlled by a group of miners or an individual. It means that 51% of the computational power aka mining hash rate needs to be under their control. Once done, the attackers can double spend, create new transactions and hence make new cryptocurrency. They can also halt transactions and also prevent new transactions. XVG, a popular cryptocurrency has already got comprised by 51% attack three times in the last couple of months. This was the last definition in our blockchain glossary. We continue updating this Blockchain Glossary so stay tuned. We are currently in the process of adding more terms to our list of blockchain definitions. Also, it would be great if you can share the “Ultimate Blockchain Glossary” guide to your peers so that they can learn at their own pace. If we missing any important blockchain definition in this glossary, please comment below and we will add. Nitish holds a BSc in computer engineering. He is a blockchain enthusiast and in spare time likes to read about the moon. His articles have published on Dzone, InfoWorld, and Hongkiat. Thank you for the information, I hope for you a happy new year, also.